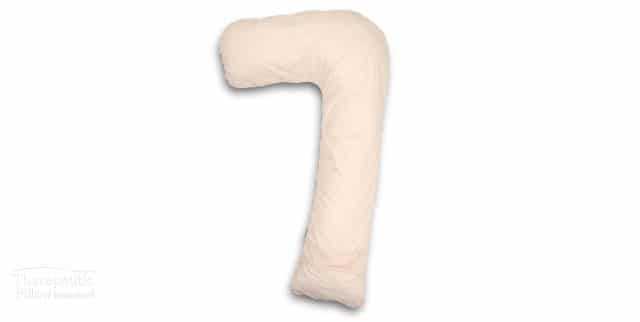 The Lucky 7 Body Pillow provides full body, head and neck support via its unique ‘7’ shaped design. 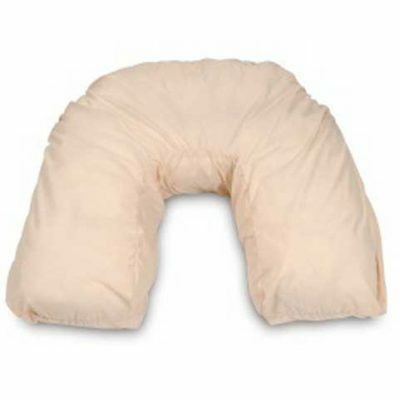 This pillow offers a great alternative to a traditional, contoured pillow, however, still provides optimal supportive qualities of memory foam. The Lucky 7 Body Pillow offers ideal support for those suffering from chronic neck and back pain, side sleepers as well as expectant mothers. 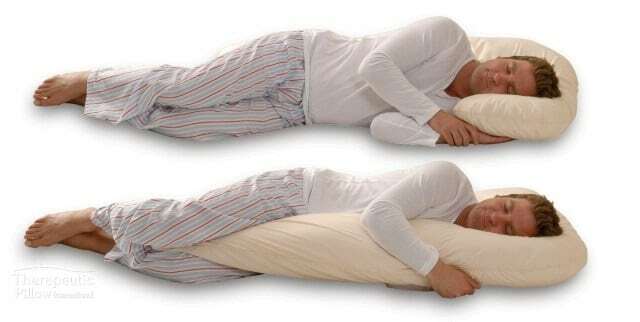 Its distinctive 7 shape allows for people to sleep with one leg over the pillow or alternatively placed behind the back. The pillow assists in aligning hips, minimising light snoring where side sleeping is encouraged, promotes healthier blood circulation during pregnancy and encourages correct spinal alignment. During pregnancy, medical practitioners encourage side sleeping to maximise and increase support, comfort and health of the baby. 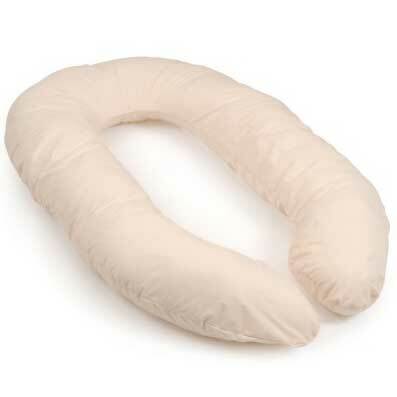 The Lucky 7 Body Pillow’s shape both encourages and supports side sleeping, which will assist in healthy blood flow and nutrient delivery to the baby. The pillows covering is made from a soft polycotton with an easy to wash and custom fitted ivory case. This product is Australian made and owned. Filling: No washing or spin-drying. Filling has the potential to compact with use. Outer slip: Normal wash and dry. Remove inner and filling prior. Inner cover: Hand wash in cold water, mild detergent. Hang to dry.